In the continuity of our private art collection being displayed in the appartments, we recently went to the New Craftsman Gallery exhibition to admire Emma Jeffryes' new collection of works. 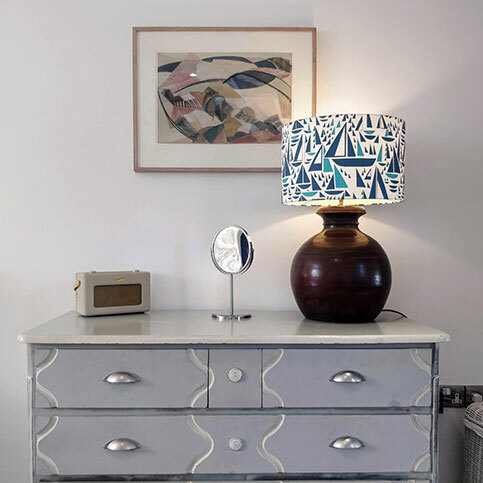 We recently hung 2 of her paintings in our self-catering property Godrevy and another one in the luxury accommodation Ocean and as Emma Jeffryes used to rent the Sail Lofts' art studio many years ago, it felt natural for us to follow her wonderful art journey. Located right in the middle of Fore Street, this art gallery is now in its 57th year which makes it the oldest gallery in St Ives. 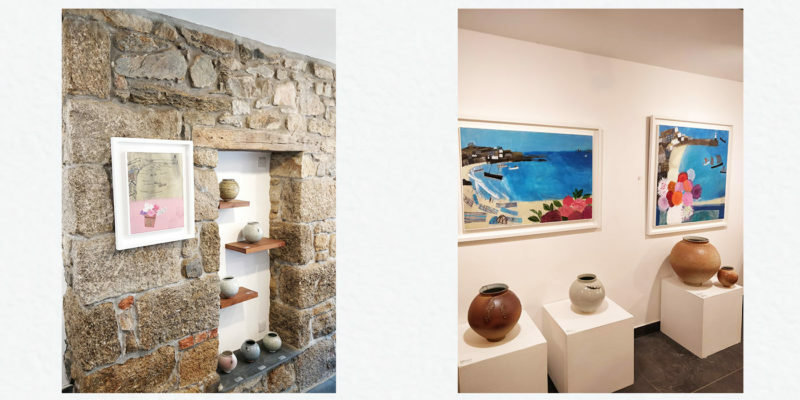 Originally established in 1962 by Janet Leach, the wife of Bernard Leach, this gallery has a prestigious history association with St Ives School of painting, the Leach Pottery and now the very best in contemporary cornish art and craft. 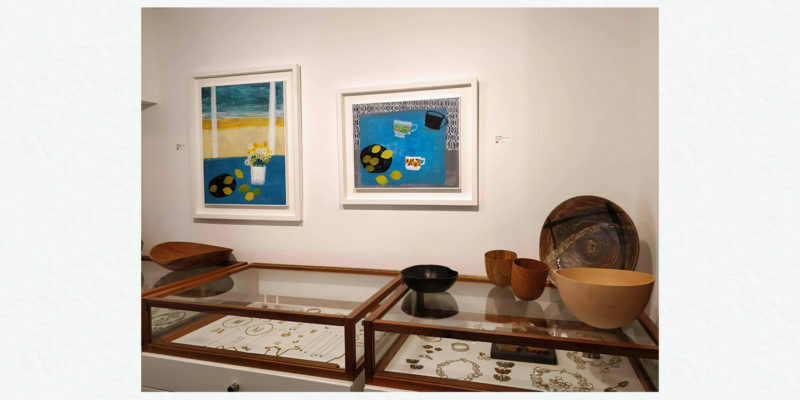 This gallery has also exhibited upcoming artists who have now become internationnaly recognised artists like Matthew Lanyon, Bryan Winter or even Patrick Heron who recently had a retrospective exhibition at the Tate St Ives. The gallery has been owned since 2008 by Ylenia and Paul Haase and continues to be regarded as one of the country’s most important and influential galleries. This new exhibition has been inspired by the walk from Penzance to Newlyn and from Newlyn to Mousehole, on to the idyllic cove of Lamorna and round to St Ives Bay. 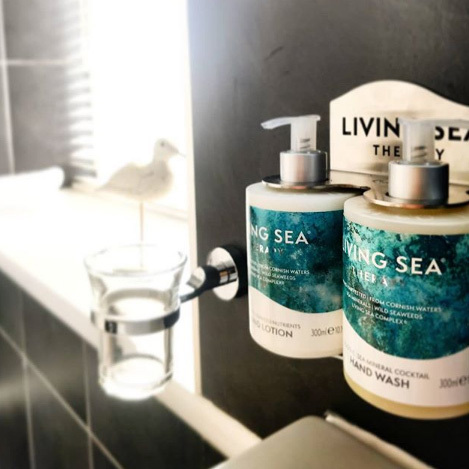 The collection explores the iconic visual details of this unique stretch of coast. The artist clerverly uses different textures and colours to explore all the possibilities to show on canvas what the landscapes has to offer. 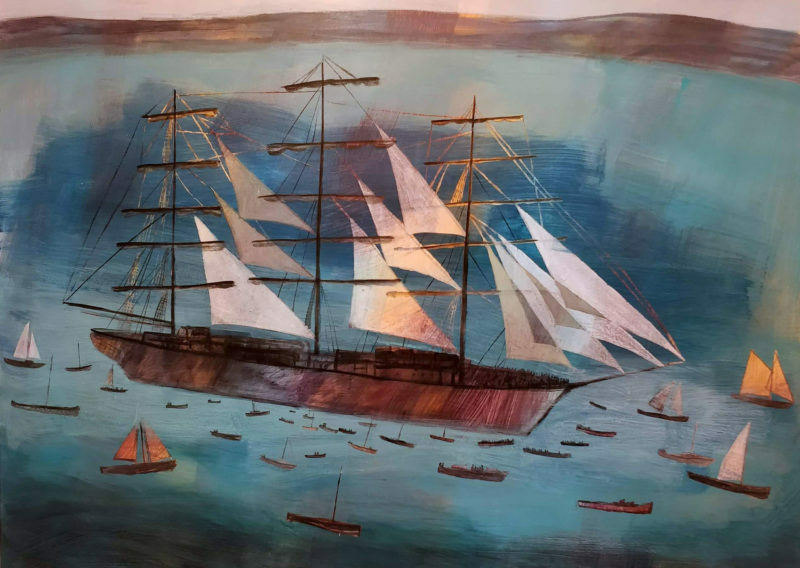 We recently changed the look of the apartments by adding pieces of art from the Sail Lofts private collection. 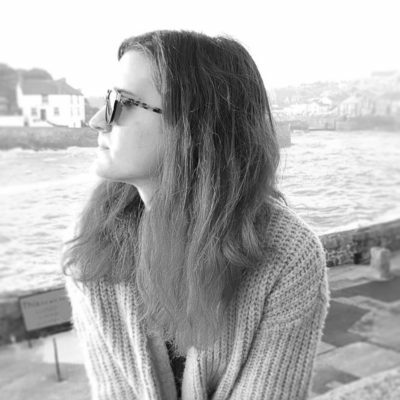 From upcoming artists like Olivia Jones who studied at Galmouth University to well-estalished artists like Bryan ingham and Sandra Blow, we wanted to share with our guests the beautiful history of St Ives and the community of artists who used to live there. 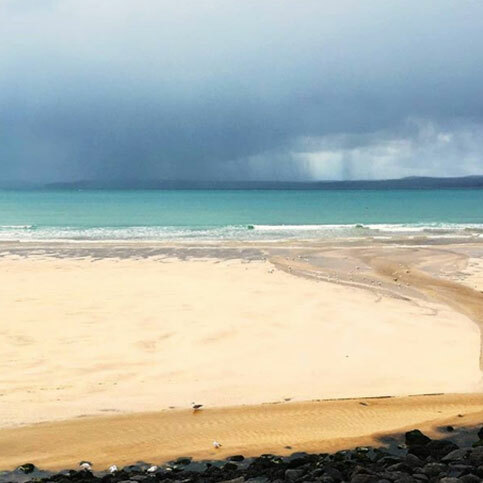 If you are planning on having an arty trip in St Ives, make sure to check our 'Art in St Ives' page on our website to see which places to visit and check our availability online.